Vampires. Werewolves. Zombies. 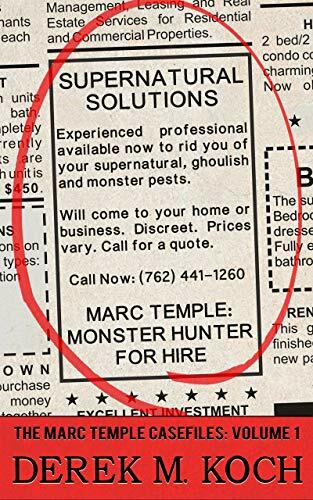 Yes, these things are real, but fortunately for those who can afford him, so is Marc Temple. And he’s good. Real good. He’s a former FBI agent turned freelancer with the knowledge and skills to eliminate your monster problems. And his rates are negotiable.